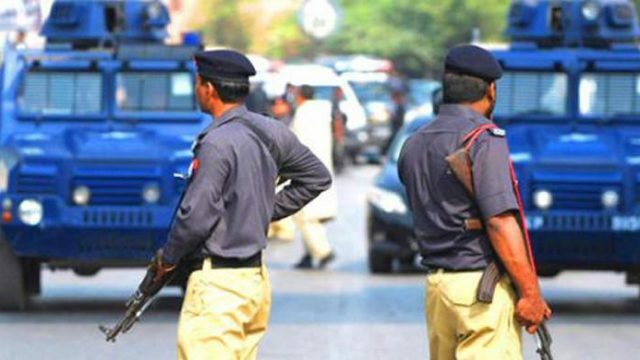 Police officers on Thursday claimed that notorious gangster of Lyari, Ghaffar Zikri along with his accomplice has been killed in an encounter in Karachi. While talking to media, Additional Inspector General in Karachi police Amir Shaikh said that a search operation was conducted with the help of law enforcement agencies on an intelligence tip-off during which, the suspects attacked police. He said that Zikri’s three-year-old son, who he was using as a shield, was also killed whereas two security personnel also sustained severe wounds. The bodies of the gangsters have been shifted to civil hospital, he added. Additional IG further announced Rs0.5 million for the police officers as a reward while he also assured to talk to IG Sindh for a prize of Rs1 million for them.